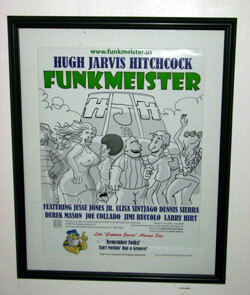 Hugh Jarvis Hitchcock's new album FUNKMEISTER combines elements of pop, funk, Motown and techno-dance with rock, soul, latin and reggae rhythms. The result is a strong collection of dance and listening material with infectious beats and fascinating textures. Featured on the album are Dutch vocalist Elisa Sintjago (Mary J. Blige's backup vocalist), Dennis Sierra (of K. C. and the Sunshine Band) on guitar, Jesse Jones Jr. on saxophones and Joe Collado (Angel Canales Salsa Orquestra) on percussion. A producer/composer/performer currently based out of Miami, Florida, Hugh grew up around Detroit, Michigan, in the shadow of Motown. 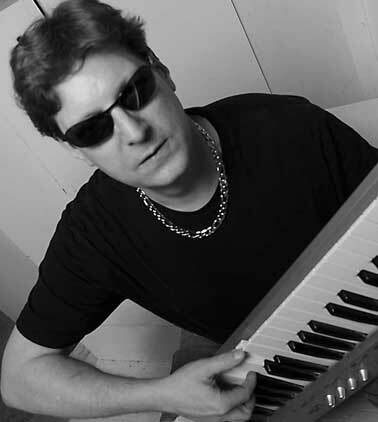 Over the years, Hugh has worked alongside some great names, including Madonna, Anita Baker, and Bob Seger. Hugh gained some fame in the 1980s when his jazz-funk composition entitled "Captain Jarvis" was recorded by Jazz violinist Noel Pointer on his breakout album "Feel It" and released on United Artists Records.